Thanks in part to its high tech and creative sectors, Montreal saw 3.6 per cent job growth last year, putting it in the top spot out of cities in Canada and the United States, according to Montréal International. Thanks in part to its high tech and creative sectors, Montreal saw a 3.6 per cent job growth last year, putting it in the top spot out of cities in Canada and the United States, according to Montréal International. The economic agency looked at the 75,000 jobs added in the greater Montreal area last year and compared that to newly released data from the U.S. to find that Montreal had the highest growth percentage between Canada and the States. An economist with Montréal International, Christian Bernard, said he wasn't surprised when he saw the numbers. "We knew that Montreal was very attractive all around the world," Bernard said. Emma McGuinness, the general manager of a British visual effects company's Montreal office, said she's not surprised either. Double Negative (DNEG) opened an office in Montreal last fall and has employed more than 250 people since January. She said the company turns to Montreal first when it's looking to fill local vacancies. "There is a great culture here which brings great artists, and also there's great training programs in the schools. So there is a big, a huge pool of untouched talent there for the taking," McGuinness said. She said tax incentives are helping to bring companies like hers to the city. "There's a lot of talk about Montreal — about how great it is to do business here and live here," she said. According to Montréal International, job growth is highest in information and culture sectors at six per cent, finance at seven per cent and professional, and scientific and technical services at eight per cent. But the Canadian Federation of Independent Business said that despite the positive side of job growth, it's not all positive — Quebec is struggling to fill 103,000 jobs. 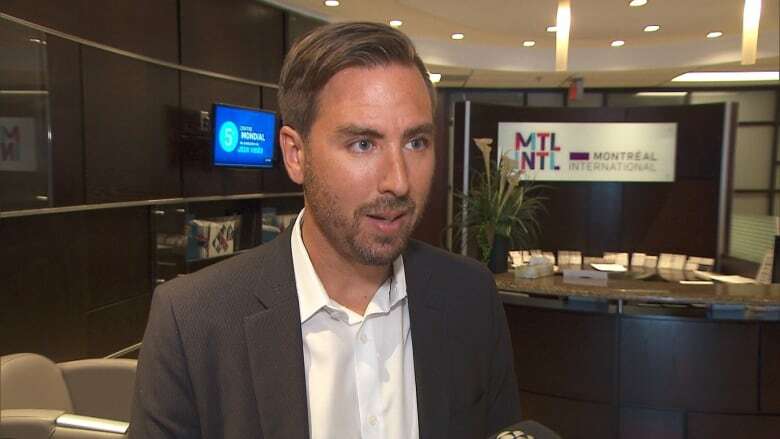 According to Bruno Leblanc, its director of provincial affairs for Quebec, many of those vacancies are for low-skilled workers. He said part of the problem is that immigration policies have focused on attracting specialized workers. "When you ask an entrepreneur, 50 per cent of them will tell you, we're looking for lower qualified workers, production, construction workers," said Leblanc.